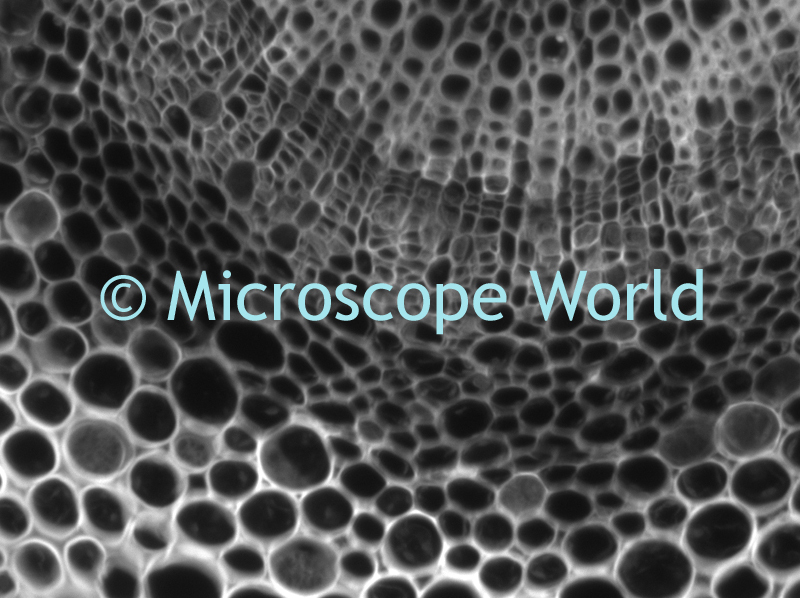 Microscope manufacturers advise against using other brands of objectives on their microscopes but in reality if the thread size of the objectives matches that of the microscope, it often works fine and provides good images. Manufacturers discourage this practice because designs and how optical corrections are made vary between companies and may result in a less than optimal image. This is often a minor issue, resulting in a colored ring around the outermost edge, with a good quality image in the center 90% of the field of view. Parfocality (the ability to change from one magnification to another without the image going out of focus) of the objectives is sacrificed when mixing objectives. Special techniques such as phase contrast are also less likely to work. Infinity corrected optics can not be mixed with fixed tube length microscope systems at all. When mixing objectives from the older fixed tube length optical systems it is possible to install optics with different mechanical tube lengths. This results in a difference of magnification between what is printed on the objective and the actual image. For example, the lens might say 10x, but the magnification might actually be 12.5x. A calibration standard allows you to determine the correct magnification. These configurations of differing tube lengths can also result in an inability to focus using an objective at either the high or low end, so a 100x or a 2x objective might not be useable. Keeping these comprises in mind, try out a different objective and judge for yourself. It might be a great success. 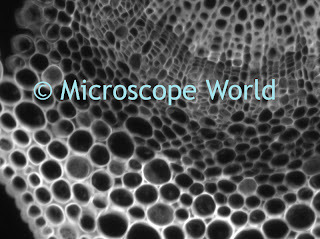 Below are some images from Microscope World's recent test. This microscopy image of a privet leaf sample was captured using a Lumenera CCD camera and a 20x Motic objective on a Motic microscope. 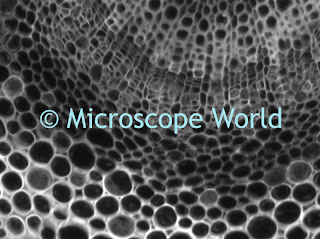 This image was captured using the same leaf sample with a the same Lumenera CCD monochrome camera and a 20x Meiji objective on a the same Motic microscope.